Charles Wilkinson’s estimable contribution to public land law scholarship is widely cited but only partly understood. From the mid-1970s to the mid-1980s he upended the field by elevating the diffuse public interest, displacing creation and adjudication of private property interests as the field’s focus. However, his subsequent scholarship grappled with an even more important challenge that has been far less noted. Beginning in the late 1980s, Wilkinson explored how legal institutions should determine the pluralistic, public interest. In trailblazing articles and books, he rose to the challenge with site-specific details, compelling narratives, and aspirational themes. This work undermined the dominance of exogenous preference accounting as a means of identifying the public interest. Instead, often employing methods from the humanities, Wilkinson promoted planning as a deliberative, value-shaping process for crafting resource management objectives. His scholarship of the past thirty years redefined the relevant inquiries for public land law scholarship. 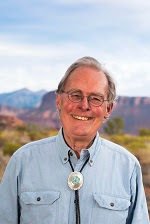 In particular, he established bioregionalism, time, culture, and wonder as place-building concepts essential for translating justice and equity into public natural resources decisions.